I just traced it out and these are the limits of how far you can go in Southeast Florida by public transit. 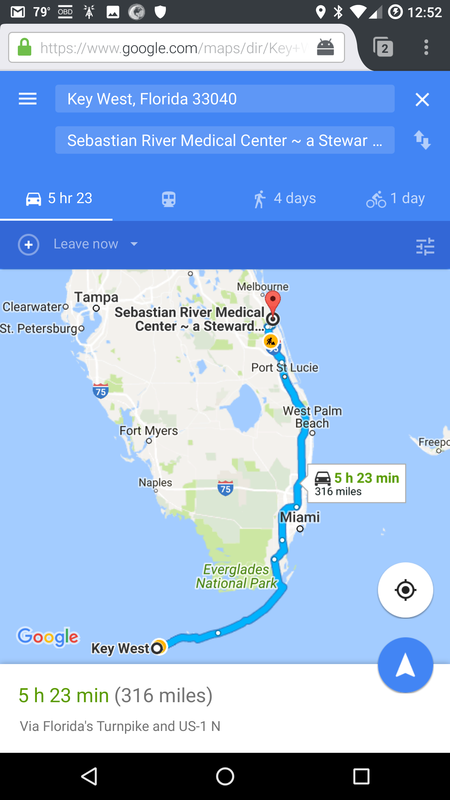 Other possible odd destinations are possible, such as South Bay, Canal Point, and Indiantown, but by distance, this seems to be the maximum. Yes, this is plotting highway distance– Google does not have route information for some of the bus lines, so it cannot do a public transit trip plan automatically. From here there is a 16 mile gap before you would reach the Space Coast Area Transit system. The rural city of Micco does not appear to have any public transit. If this DID connect, the northern limit would be Aurantia Road and US1 in Mims. Do not attempt this trip unless you are insane. It would likely take multiple days and one of the routes is only available weekday commuter hours.